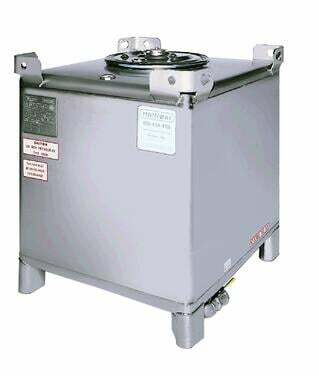 At Metano, we are focused on providing our customers with cost-effective, reliable stainless steel IBC's for handling, storing, and shipping of liquids. As a part of our stainless steel IBC offerings, one of our most popular tanks we sell and lease is the 350 stainless steel tote tank. The 350 gallon tote capacity is a popular option because of its proven strength and durability. Each stainless steel IBC is constructured to last with 10-gauge stainless steel with a 2b finish. The 350 gallon tote tank capacity is also an efficient alternative to the 55-gallon drums for their ease of handling, transporting, and lower environmental footprint. Learn more about the difference between IBCs versus drums.